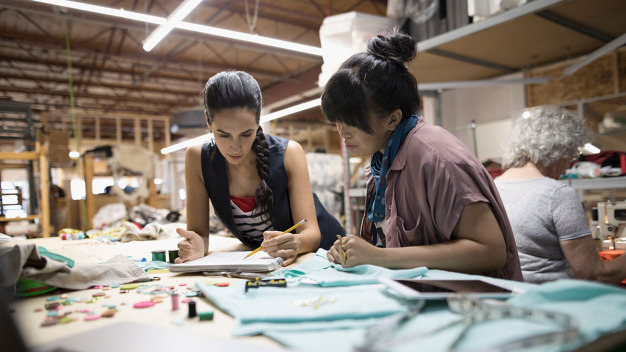 Flash forward more than a century, and now there are nearly 10 million women-owned small businesses, according to the International Trade Centre. As e-commerce gains momentum, four out of five online sellers are women. According to McKinsey, the participation of women in the economy has the “full potential” to increase global annual GDP by $28 trillion by 2025. Ahead of International Women’s Day Friday, let’s issue a clarion call: This is a breakthrough moment for women in global trade. And even more, inclusion represents a real chance to strengthen communities. That’s better for everyone — not just women. When I joined UPS 25 years ago, my intention — like many my age — was to change the world. Men ran the transportation industry, and I wondered whether I would ever reach my potential or even get a seat at the table. I have worked in locations across Europe and the United States, experiencing a wide array of cultures both familiar and foreign to me. In my new role as vice president of marketing, diverse segments, I’m able to play a direct role in UPS’s global commitment to diversity and inclusion, focusing not only on customers, but vendors, employees and communities as well. A level playing field creates clear benefits. And we know inclusion is the right thing to do. So where do we go from here? Even as technology improves access to the global marketplace, growing a business is as challenging as ever. With only a limited number of women-owned businesses exporting, growth opportunities remain limited. Yet we know that global trade can vault even a small business into a new stratosphere that offers the ability to scale and grow beyond the confines of a region or country border. To help break through these barriers, UPS and The UPS Foundation have joined together with leading trade associations and non-profit organizations to provide women entrepreneurs with tools, resources and training to help them reach new markets. The UPS Women Exporters Program, in coordination with the International Trade Centre, advocates for women’s economic empowerment, offering online training and in-person workshops on critical topics including regulations, documentation, billing, reporting, packaging requirements and more. Through meetings and trade fairs, women business owners can build connections with corporate buyers and partners. UPS recently announced a collaboration with the United States Agency for International Development (USAID) to promote women’s economic empowerment and improve women entrepreneurs’ ability to export. The program will offer training and workforce development, assist women in identifying local and national market opportunities and help identify and address regulatory barriers that disproportionately hinder women exporters. UPS’s Supplier Diversity Program takes the concept of fair business even further. It aims to empower minority-owned businesses and provide a pathway for suppliers to tap into UPS’s global purchasing power. I feel fortunate to work with women and men who share this appreciation for inclusion. We aren’t at the finish line, but we are firmly on the path to a more equal future for us all. But it takes more than words. If we’re serious about inclusion, we must help more women take their business global. Let’s make International Women’s Day a breakthrough moment for women in global trade.